We hope these great interactive resource examples will get you thinking about what’s possible. We’re constantly listening to feedback and can custom make resources to suit. Have a look below at the beautiful interactive elements, animated GIFS, images, and videos. Contact us using the form at the bottom of this page and we’ll send you the embed code to add these resources to your site. Getting chiropractic website content has never been this easy! You simply embed the infographic on your website (we designed them to be responsive i.e. they work on mobile devices) and that’s it! For a boost why not write up some extra copy in your own words describing the infographic. Click on each infographic preview to view the entire infographic embedded on a single page. 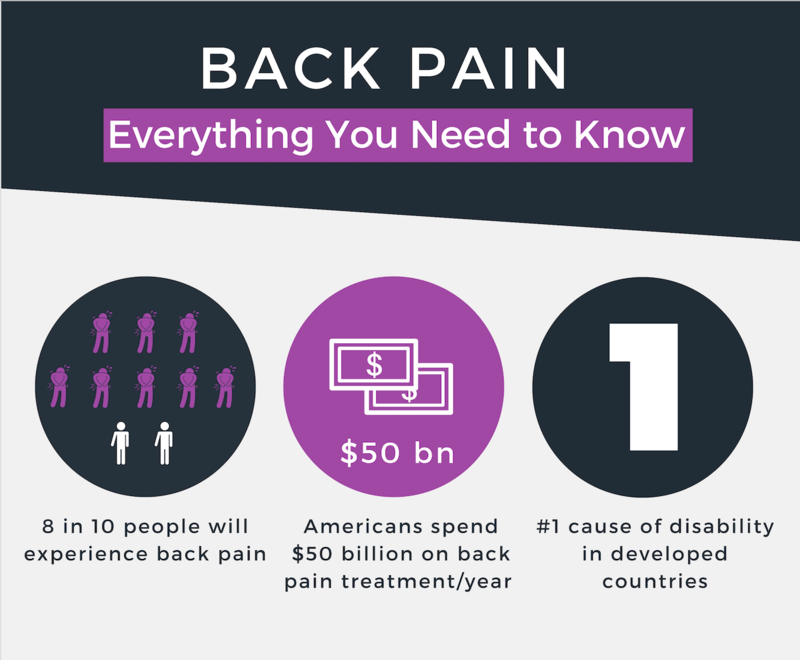 This back pain infographic covers some key back pain facts and figures. From 80% of the community experiencing back pain to it being the number one cause of disability (in life adjusted years), it presents the key facts in an appealing way. 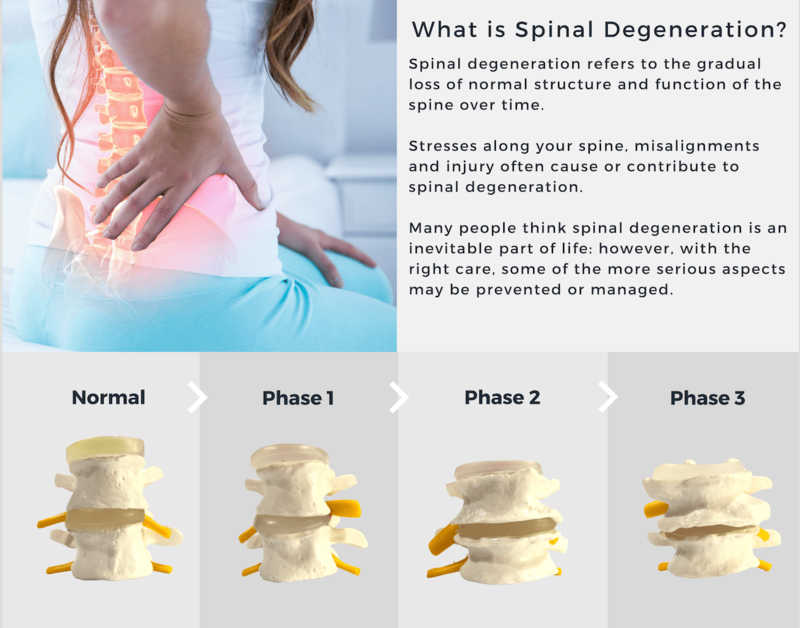 This spinal degeneration infographic provides an excellent visual representation on how discs degeneration and general characteristics present at each stage. This clickable phases of degeneration infographic is a useful tool to direct your patients to or to show them during their Report of Findings. Embed these short descriptive videos in your website and increase visitor engagement. Embed these short chiropractic GIFs (Graphics Interchange Format) in your website and increase visitor engagement. This GIF would work well on your home page or page about the benefits of chiropractic care. In using these free chiropractic resources you agree to include a reference, in the form of links, back to us and one of our partner clinics. A content should increase dwell time. For search engines, if a visitor spends a minute or two on your page, that is a good signal. If a visitor spends a few seconds on your page and clicks away, that is a bad signal. Effectively communicates a key message in an appealing way i.e. how chiropractors help with back pain. If you want to boost your website rank, you need to focus on publishing good quality content, such as video. Do I still need to write content? Yes we recommend you write at least 300 words to accompany each infographic. While the information contained in each resource may be enough for your patients, if you want an SEO boost it’s recommended you publish some unique content to go with the resource. Will the infographic slow my site down? No. Each resource is hosted on external serves meaning your site will load at it’s normal speed. Contact us and we’ll prepare your customised resource. We will then send you the code so you can embed the item on your website. Let us know what resources you want and we’ll confirm via email.